Below you can view all the townhouses for sale in the North Decatur subdivision located in Decatur Georgia. Listings in North Decatur are updated daily from data we receive from the Atlanta multiple listing service. 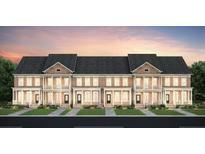 To learn more about any of these townhouses or to receive custom notifications when a new property is listed for sale in North Decatur, give us a call at 404-998-4097. Tpg Voted Best Builder In North Atlanta In 2017 And 2018 MLS#6524385. The Providence Group Realty, Llc..
Tpg Voted Best Builder In North Atlanta In 2017 And 2018 MLS#6524378. The Providence Group Realty, Llc.. The Terrace Level Is The Perfect Guest Suite With Large Bonus Room Or Flex Space And Full Bath. MLS#6519826. Redfin Corporation. Homesite#15 Offers 4 Bedrooms, 3.5 Baths W/Covered Brick Patio, Bedroom & Bath On Basement Level, Large Deck, Sunroom, & Semi-Private Rear Deck On Main Level. Ready Spring 2019! MLS#6510964. Mark Spain Real Estate. Homesite #17 Offers 4 Bedrooms, 3.5 Baths W/Covered Front Porch, Bedroom And Bath On Basement Level, Sunroom And Semi-Private Rear Deck On Main Level. Ready Spring 2019! MLS#6510995. Mark Spain Real Estate. Homesite#59 Offers 3 Bedrooms 3.5 Baths W/Covered Brick Patio, Bonus Room And Bath On Terrace Level, Large Deck, Sunroom, & Semi-Private Rear Deck On Main Level. Ready Summer 2019 ! MLS#6502137. Mark Spain Real Estate. Tpg Voted Best Builder In North Atlanta In 2017 And 2018. MLS#6501688. The Providence Group Realty, Llc.. Receive Up To 3% Of Sales Price Towards Closing Cost By Participating In Our Affiliate Incentive Program And Financing With Seller'S Lender. MLS#6104730. Mark Spain Real Estate. Great Opportunity For Rental Income. Private And Serene Lot. MLS#6101864. The Cole Realty Group., Inc..
Tpg Voted Best Builder In North Atlanta In 2017 And 2018 MLS#6061192. The Providence Group Realty, Llc..
Tpg Voted Best Builder In North Atlanta In 2017 And 2018 MLS#6054159. The Providence Group Realty, Llc..
Tpg Voted Best Builder In North Atlanta In 2017 And 2018 MLS#6053213. The Providence Group Realty, Llc..
Tpg Voted Best Builder In North Atlanta In 2017 And 2018 MLS#6053204. The Providence Group Realty, Llc.. Brand New Flooring And Enclosed Garage As A Bonus Room MLS#6053284. Keller Wms Re Atl Midtown. Homesite#17 Offers 4 Bedrooms, 3.5 Baths W/Covered Brick Patio, Bedroom & Bath On Basement Level, Large Deck, Sunroom, & Semi-Private Rear Deck On Main Level. Ready Spring 2019! MLS#6023370. Mark Spain Real Estate. Receive Up To 3% Of Sales Price Towards Closing Cost By Participating In Our Affiliate Incentive Program And Financing With Seller'S Lender. MLS#5998898. Mark Spain Real Estate. Receive Up To 3% Of Sales Price Towards Closing Cost By Participating In Our Affiliate Incentive Program And Financing With Seller'S Lender. MLS#5998910. Mark Spain Real Estate. Free-Flowing Great Rooms, Top-Of-The-Line Kitchen Aid Appliance Package, Sunroom Extension With Deck Extended Off The Kitchen And Owner’S Suite For Outdoor Enjoyment! October Completion. MLS#5987599. Mark Spain Real Estate. Free-Flowing Great Rooms, Top-Of-The-Line Kitchen Aid Appliance Package, Sunroom Extension With Deck Extended Off The Kitchen And Owner S Suite For Outdoor Enjoyment! October Completion. MLS#8317233. Mark Spain Real Estate.